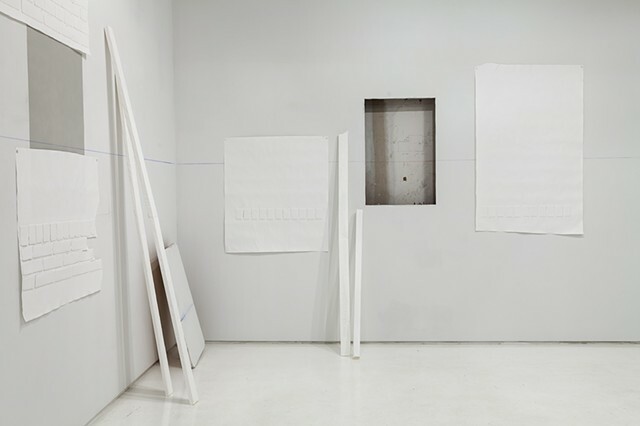 Installation view of Renovation. Installation consisted of elements that referred to the history of the gallery space, as well as the raw materials used in the construction of the building. An architectural intervention comprised of a rectangular cut-out of the wall exposed the wall interiors, and the installation referred to what was found there.